At the time of the accident, the two boys were ages 17 and 14. While out scouting for firewood, the decided to cut down a live tree, however, the troop did not have a permit to remove live or standing trees. In addition to this, the lawsuit claims that the boys had been cutting down the tree for up to 45 minutes, without any supervision from Scout leaders or older members. The plaintiffs assert that any reasonable person of any age should have known that a tree falling so close to a highway would be incredibly dangerous and could cause injury to any drivers or motorists on the road at the time. Also included in the lawsuits claims are assertions that the boys should not have been permitted use of tools such as axes, saws and chainsaws that were used to cut the tree down, without proper supervision. The Riecke family’s lawsuit names several defendants, including the Boy Scouts of America and the Church of Jesus Christ of Latter-day Saints, who were acting as sponsors for the troop. Also named as defendants are the Trapper Trails council, Scout leaders, and the boys involved. Since one of the boys involved is still a minor, his parents are being held liable as defendants. When a lawsuit focuses on the negligent acts of a minor, it is rare that the minor is held responsible directly. Typically, very young children are not held responsible for negligent acts that result in the injury, as they may not have developed a sense of right and wrong or risky behavior, however, their parents may be held liable for failing to prevent these acts from occurring. When a minor is of an increased age, likely in their teen years, they may be held up to higher standards. If a minor causes injury or harm to another while operating a vehicle, they are commonly held to the same standard as an adult. At times, the court may issue a legal judgement against a minor, however, the minor will not be held responsible for the repayment of damages until their 18th birthday. If you or a loved one has been injured in a motorcycle collision in New Hampshire, contact NH’s Motorcycle Accident Lawyers at Tenn And Tenn today. 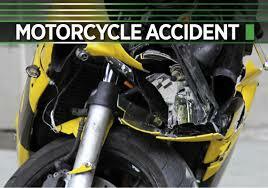 Our lawyers are experienced motorcyclist and among New Hampshire’s top rated injury lawyers.